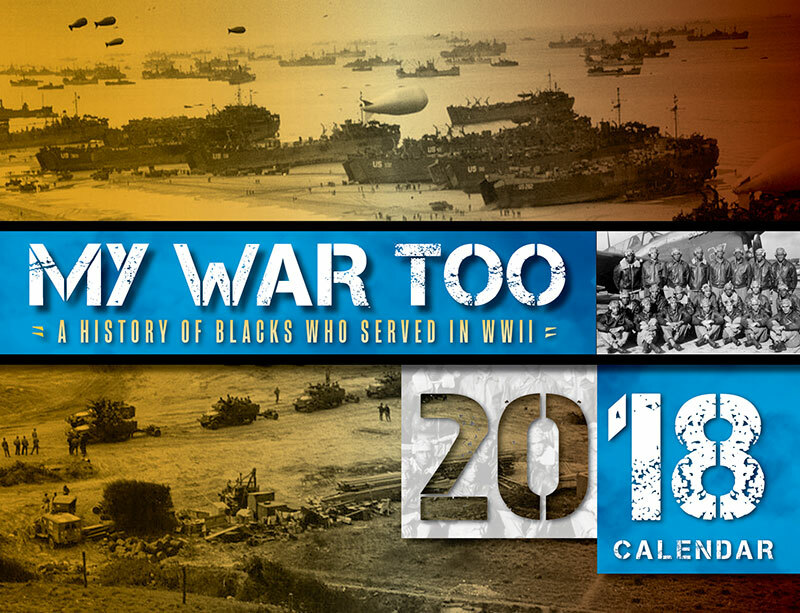 Enjoy a calendar and journal for a Savings! 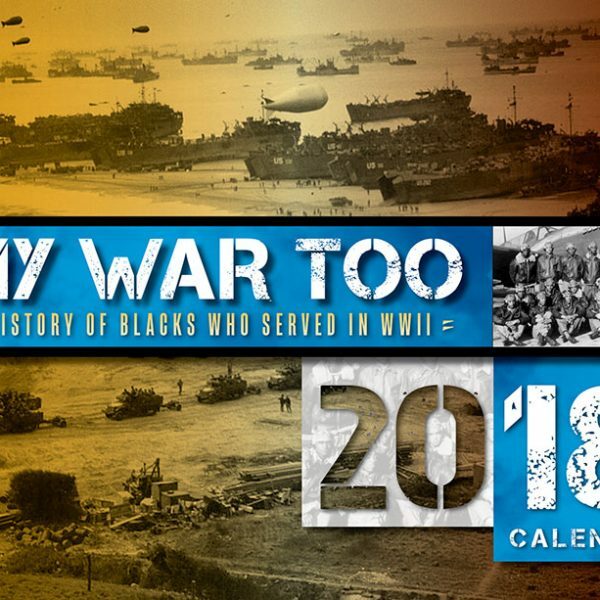 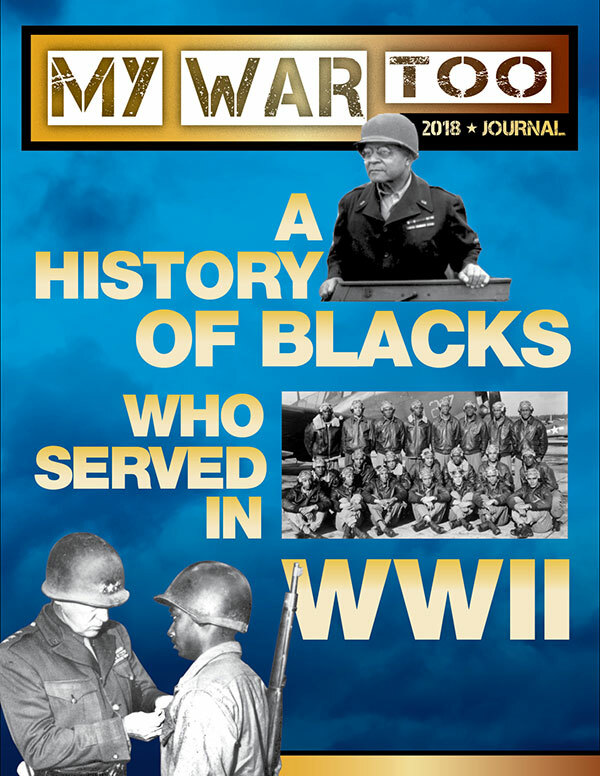 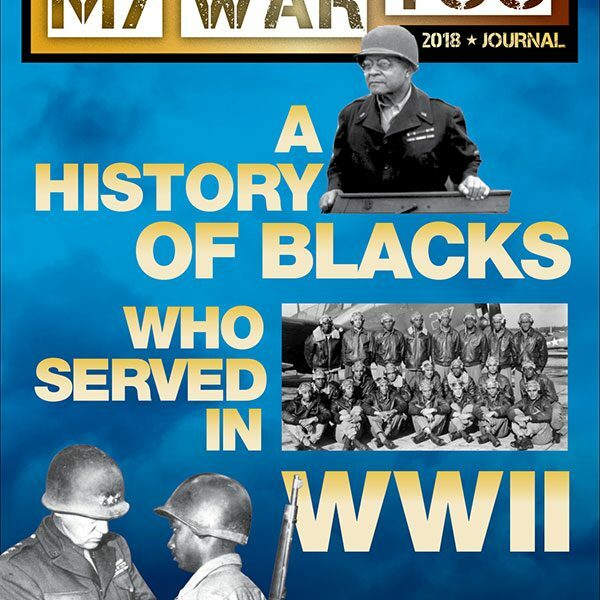 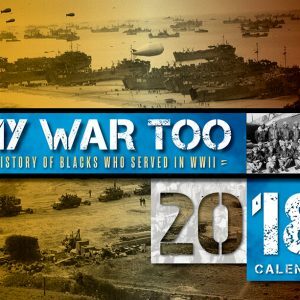 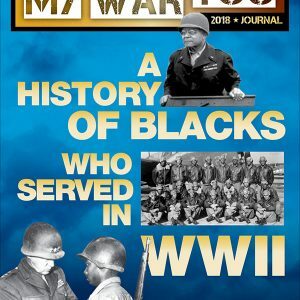 This special edition calendar features the specific African Americans who served throughout the Second World War. 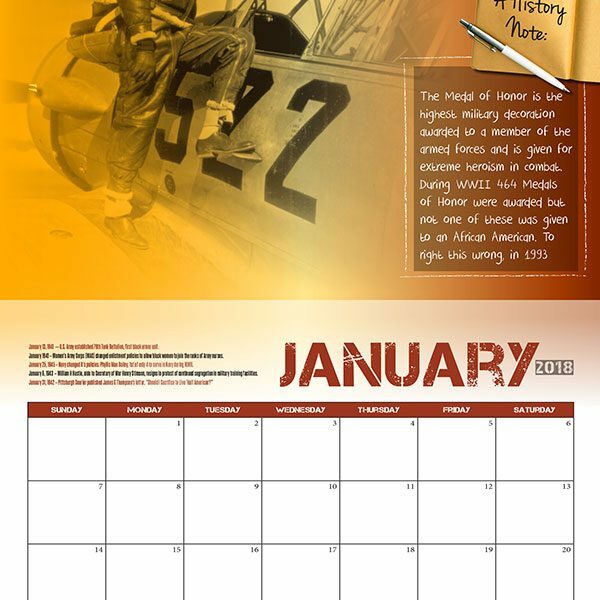 Dates of important events of black soldiers are included throughout the year. 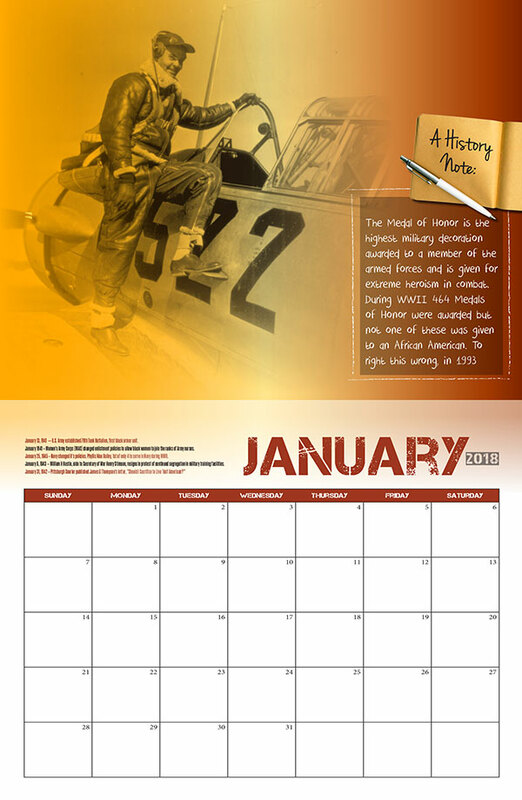 A great gift, the oversized, glossy one-of-a-kind calendar is available for preorder now.